Christianity and Islam have more in common than people think, Pope Francis said Wednesday, and the two religions defend common values that are necessary for the future of civilization. The pontiff devoted his weekly address to recapping highlights from his recent three-day trip to the United Arab Emirates, the first visit ever from a pope to the Arabian Peninsula, the birthplace of Islam. 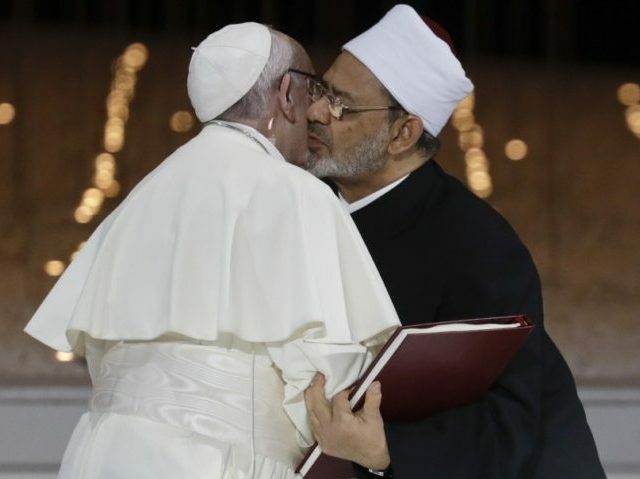 On Monday, the pope met with Emirate leaders and signed a joint declaration together with Sheikh Ahmed el-Tayeb, the grand imam of Cairo’s Al-Azhar University, condemning “acts of murder, exile, terrorism and oppression” carried out in God’s name. On Tuesday, the pope celebrated an outdoor Mass in Abu Dhabi with the attendance of an estimated 170,000 faithful, the largest public act of Christian worship ever held on the Arabian Peninsula. At this high-point of his historic three-day visit to the United Arab Emirates, the pontiff told the faithful to be “oases of peace” during his homily, in which he also urged them to live by the Beatitudes preached by Jesus.